Most signings that have featured in this A-Z guide have been those that worked out, and that's a testament to Rayo's technical management. This is a story of the opposite. He lasted just 16 minutes. 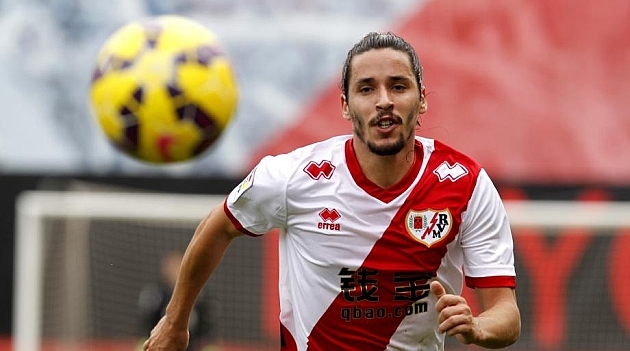 Rayo were losing at home to Real Zaragoza 1-0, and Juande Ramos had one substitution left. It was the last throw of the dice - midfielder Jordi Ferrón was taken off for him, a striker. That was his Rayo legacy. Born in Luanda, Portuguese Angola, striker Quinzinho signed with Porto in 1995 from local club Atlético Sport Aviação (ASA). 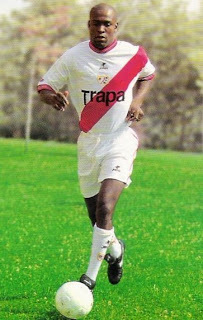 He was sparingly played during his spell at the former club as he was barred by Domingos Paciência first and later Mário Jardel, also being loaned to fellow Primeira Liga sides Leiria and Rio Ave.
After a third loan spell to Rayo Vallecano in the latter half of the 1998-99 season, Quinzinho returned to Portugal where he represented in quick succession, always in the top division and still owned by Porto, Farense, Aves and Alverca. In January 2003, after half-a-season with Estoril Praia in the lower leagues, he moved to China where he would remain till 2009, appearing for teams in both the Super League and the League One such as Hangzhou GreenTown, Xiamen Lanshi and Pudong Zobon. He would return to Angola to finish his career in 2011, playing at Recreativo da Caála and local club ASA for a season apiece. In the summer of 2014, a center-back taller and surprisingly quicker than most promising players continued a career path taken by most promising players. Abdoulaye Ba, a Porto player who had had loan spells at Covilhã in the second division, as well as Académica de Coimbra and Vitória de Guimarães in the first, was on the market. And the center-back chose his fourth loan would be at a team in a country he had never played in, a team that was being coached by a former center-back - Rayo Vallecano. The first game of the season was against La Liga winners and Champions League finalists Atlético Madrid. It was also Abdoulaye Ba's first test, a test that he succeeded. Mario Mandžukić and Raúl Jiménez were largely quiet thanks to the Senegalese defender, who registered four clearances, blocked a shot and even attempted 77 passes. And yet, the very next game, in a 2-2 draw at Depor, Ba's terrible back pass to Cristian Álvarez was Depor's first goal, and his handball in the penalty area was Depor's second. It may have been the best metaphor for his career. Loan spells at Fenerbahçe, Alanyaspor and 1860 Munich followed, followed by a "we-really-need-to-get-someone" four-year permanent deal back at Rayo this summer - on August 30th, 2017. Abdoulaye Ba wasn't the only one wandering around Portugal to come to Spain that summer. In the 2010 January transfer window, Licá moved on loan to Trofense in the second level, netting five goals in 27 games in his first full season as the Trofa club narrowly missed on promotion. From 2011 to 2013, he represented Estoril Praia: after finding the net on 12 occasions in his first year, being essential as his team returned to the top flight after seven years, he added six in all 30 contests in the second to help the side overachieve for a final fifth position, with the subsequent qualification to the Europa League. Licá signed for Porto in May 2013, penning a four-year contract. However, in August 2014, he was deemed surplus to requirements, as practically all Portuguese players were, by new Spanish manager Julen Lopetegui. 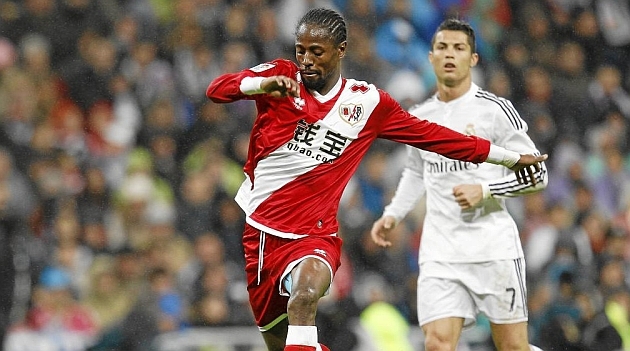 Licá was, ironically, loaned to La Liga club Rayo Vallecano in a season-long move. He did not guarantee a starting berth but was nevertheless known for the occasional deadly cross, and often played on the left in order to cut in on his right foot. He would register three assists - all crosses - in 21 appearances. After a season at Rayo, and another on loan at top flight club Vitória de Guimarães, Licá was released by Porto and signed for Nottingham Forest on a two-year deal, for a fee believed to be around £300,000. However, in February 2017, Licá returned to Portugal to join former club Estoril on loan until the end of the season, and on 31st August, he mutually agreed to terminate his contract with Forest to sign for Segunda side Granada.